In 1999, our company, Vinland Town Mutual Insurance Company and Winchester Mutual Insurance Company merged and our name was changed and we formed Homestead Mutual Insurance Company. Those two local and very financially secure companies had a desire to join forces and pool their resources to better provide a quality insurance product and also provide the quality of service that their policyholders had and grown to expect and deserve. In 2000, Nekimi Mutual Insurance Company joined Homestead Mutual and was able to provide additional resources and additional policies to further spread the insurance risk. Soon after that merger was effective, the company was forced to endure the worst loss year of their 130 years in business. A devastating hail storm, which began in Marquette County, rolled eastward right through the middle of our territory and on to Lake Michigan. In its path was the worst number and severity of claims our company has experienced. The following year, wind storms caused another serious amount of claims. While these years put a strain on the company, the company survived. 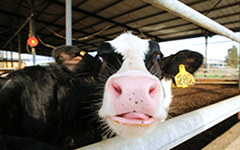 With the help of its reinsurer, Wisconsin Reinsurance Corporation, Homestead Mutual met its obligations and was able to pay all the losses of its policyholders. In 2006, Homestead Mutual merged again with another small, local insurance company located in Mt. Calvary, WI. With this addition to the company, our surplus fund was enhanced and the spread of our risk was enhanced and the coverage area was expanded. Effective January 1, 2015 Homestead Mutual affiliated with Mutual of Wausau Insurance Corporation. Pursuant to the agreement, Homestead and Wausau entered into an inter-company Risk Pooling Agreement. The affiliation was approved by the boards of directors of both companies. 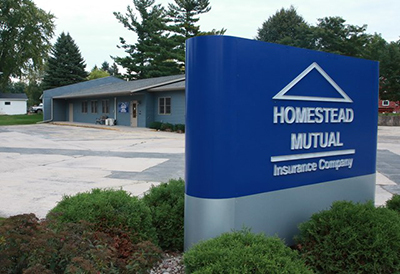 At a special meeting on December 19, 2014, the policyholders of Homestead Mutual overwhelmingly approved the plan of affiliation with Mutual of Wausau and Homestead's conversion to a non-assessable domestic insurance company.